Material: Non-metallic high-tech material with 50% fibre-glass content. Scale: 5-digit digital display with 7.5 mm numeral height for easy reading. Reading: 0.01 mm as well as 0.0005 inch. Application: For outside, inside and depth measurements. Extra: Switches off automatically after 5 minutes of non-use. 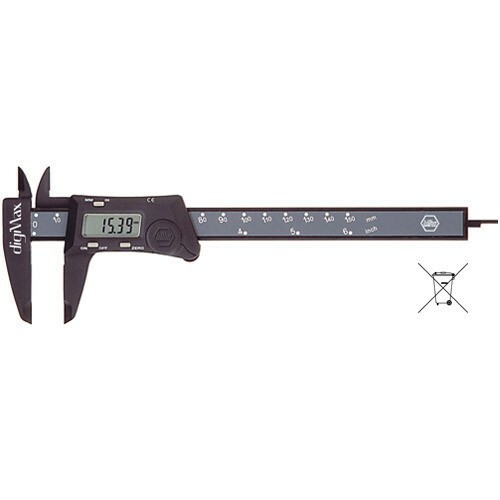 Zero setting possible in every position for quick comparison measurements. Battery with approx. 2-year service life included.